7 Audio CDs recorded at a live 2 day Christian conference. Tom discusses the 7 essential principles for a successful music ministry. But his staff says, listen to your own teaching: it’s not about being perfect, it’s about the emotional connection with the audience. And apparently he had it! 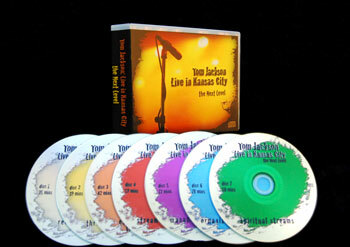 When Tom mentions at workshops he might not sell this product anymore, artists tell him he’s crazy – that it’s packed with insights, information, and encouragement for the Christian/Gospel artist and their ministry.